Structure Lite - The Best Free WordPress Theme, Evar! The free theme that started it all. 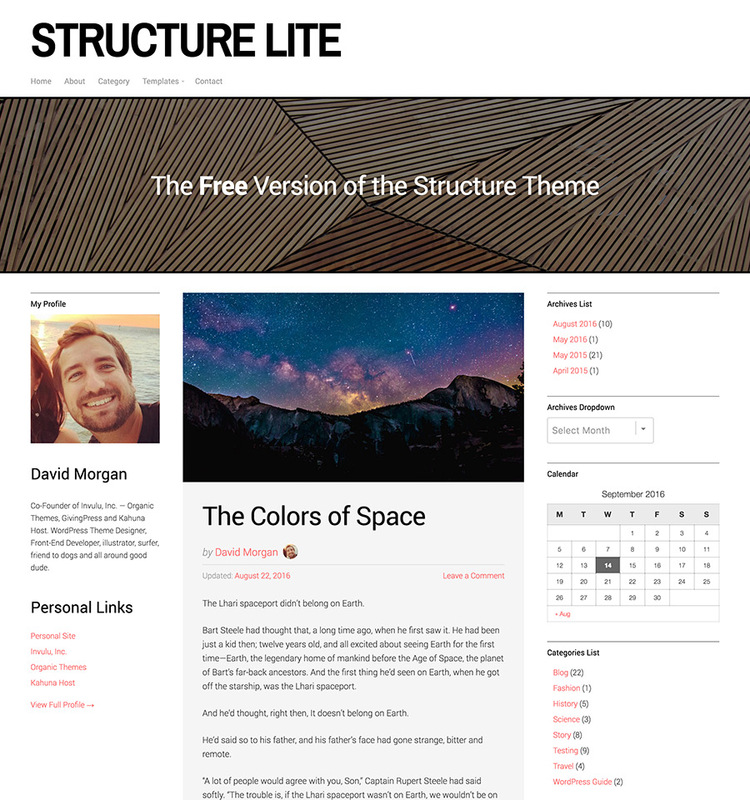 Structure Lite is perfect minimal magazine style WordPress theme. Possibly the best free WordPress theme ever made! The original free version of the Structure Theme was the first WordPress theme released by Organic Themes. It experienced explosive viral success with hundreds of thousands of downloads. 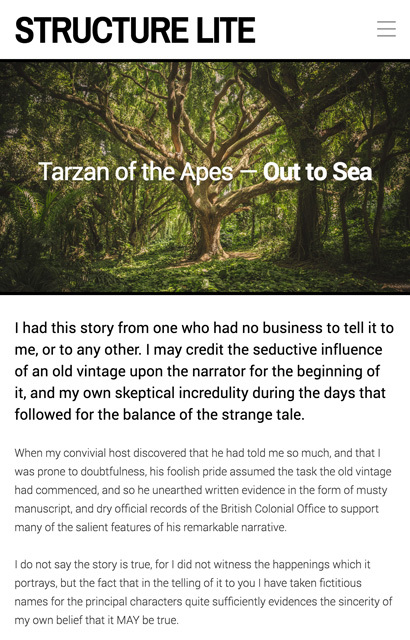 Structure Lite is the latest reincarnation of that theme. You could say the popularity of the Structure Theme was the foundation of our company. The theme launched Organic Themes into the spotlight as a respected WordPress theme company. Over time the original theme became outdated and obsolete. And some things that should not have been forgotten were lost. History became legend. Legend became myth. And for six and a half years, the theme never received an update. We removed the theme from the shelves, but people continued to use it and request an update. Now, the free version of Structure is back by popular demand! Structure Lite has been completely re-structured. It now features a fully responsive framework and the latest WordPress core functionality such as the Site Logo, Custom Menus, Custom Headers and much more. The theme is ready out-of-the-box. However, the WordPress Customizer can be utilized for managing theme options with ease. With the re-design and re-structuring of our Organic Themes site, we decided there was no better way to kick it off than with the theme that started it all. Download and start using the best free WordPress theme today! Start building your website with the Structure Lite!